There are eight options this year from the award-winning RAM 1500 trim levels, and they each offer something unique to appeal to all types of Killeen drivers. From budget-friendly to deluxe luxury, the following includes the suggested retail prices and features of this year’s lineup for our Waco customers. Your choice is a whole lot harder with eight RAM 1500 trim levels to choose from. Luckily, we’ve got the scoop on how each trim level builds on the last with its own distinct package of features for you to choose the perfect match. 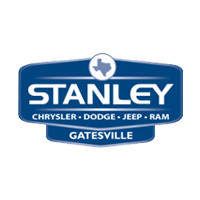 The RAM 1500 trim levels are all available to finance today from Stanley CJDR, so don’t hesitate to make your dreams a reality! Make an appointment today by calling us at 254-248-3000 or contact us online for more information before you visit us from Temple.